|Helping isolated immigrant and refugee women and their children achieve their full potential and lead enriched lives. The Multicultural HIPPY program addresses many issues that immigrants and refugees confront when they arrive in their new country. These include language and cultural barriers, low levels of literacy, professional accreditation issues, and limited awareness of various democratic processes and societal practices. The Multicultural HIPPY Program was developed to support the mother as the first and most important teacher of her child. HIPPY provides newcomers with information that helps reduce language and cultural barriers, helps inform participants of other services in the community, raises awareness of “how things work” in Canada, and encourages newcomers to actively participate in the community and in the school. The HIPPY program hires current and past mothers in the program as Home Visitors. They are often from the same community and reach out to the isolated mothers in their own homes. They provide practical information and structured lessons that enable the newcomers to gain confidence in their own capacity to help prepare their children for entering school. Many Home Visitors report that this was their first job in Canada. 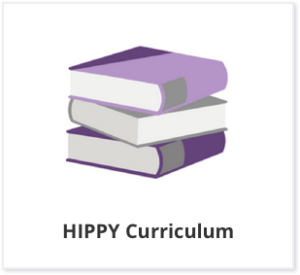 As a result of participating in the program, many HIPPY parents report that they have decided to go to school themselves to achieve literacy or career goals. To build a stronger and more competitive Canada by providing isolated mothers with essential skills training and work-learn jobs; developing their capacity to support their children’s success in school and helping them build bridges to social networks and organizations. Helping Home Visitors develop skills and work experience needed to compete successfully for other jobs in local labour markets. Establishing collaborative partnerships with other human service organizations in order to ensure optimal service delivery for participating families. 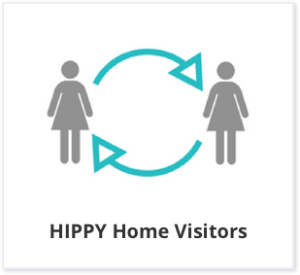 The core of the HIPPY program is a structured home visit. Home Visitors help mothers in their homes, where friendships develop, support is provided, and a wide variety of skills are advanced. Together, bridges are built from the home to the larger community - the key to ending isolation. Home Visitors, graduates of the HIPPY program, are hired and trained to visit mothers in their homes. They reach out to isolated mothers and support them, one-on-one, by transforming the home environment into a place of rich learning opportunities. As a community member, the Home Visitor knows the language, lives the culture, and has faced the same challenges as the families with whom she works. The Home Visitor delivers a curriculum based on the needs of children to become school-ready. The curriculum consists of nine storybooks, 30 weekly activity packages, and basic supplies such as geometric shapes, scissors, and crayons for each year in the program. The activities guide parents in a process of engaging with their children using structured lessons that will ensure children’s school readiness skills, including: language development, perceptual and sensory discrimination, logical thinking, and problem-solving. 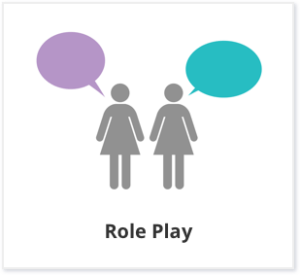 The Home Visitors meet with the mother on a weekly basis, role-playing all the activities in the weekly packet. After the mother is comfortable with the material, she is encouraged to work through the packet five days a week for 15 to 20 minutes with her children. Multicultural HIPPY is an evidence-based program that utilizes a performance management system referred to as “Efforts To Outcomes”. This system consists of a framework of tools, processes and training to help Site Coordinators and Home Visitors record and assess their families’ progress, challenges and successes. Improved academic performance in comparison to similarly situated children with positive outcomes for school readiness, reading ability and school behaviour. Improved school readiness skills, school performance, English skills, self-esteem and self-confidence.